– Benjamin Franklin cited by Mohamedou Ould Slahi in Guantánamo Diary. On November 20, 2001, Mohamedou Ould Slahi, a 30-year-old electrical engineer and telecommunications specialist from Mauritania, received a visit at his house from two Mauritanian officers summoning him to answer questions at the country’s intelligence ministry. “Take your car,” one of the men told him, as Slahi stood in front of his house with his mother and his aunt. “We hope you can come back today.” He has not returned. After spending a week in a cell in his native country, the authorities found no evidence against him. 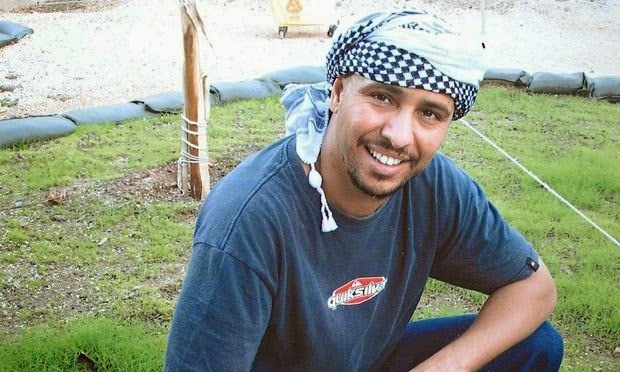 However, at the behest of the Americans, Slahi was rendered to a black site in Jordan for six months, and then flown blindfolded, shackled and diapered to Bagram Air Base in Afghanistan for two weeks; from there he was transported to Guantánamo in Cuba where he remains incommunicable to this day. 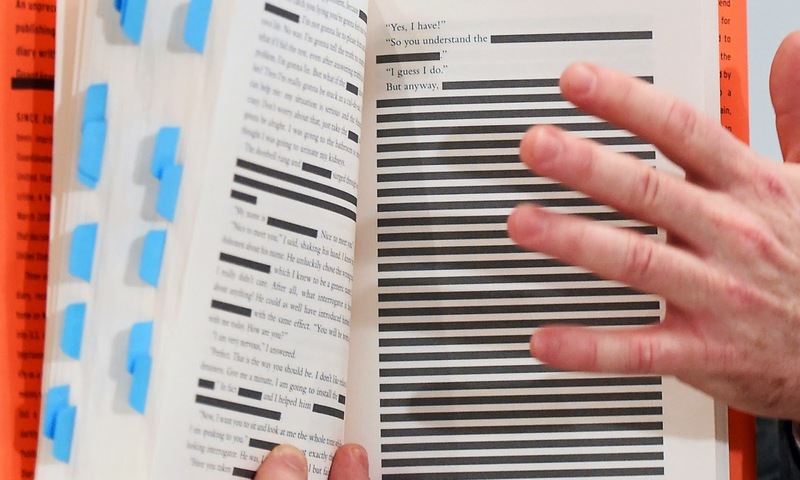 Three years into his detention, Slahi wrote in basic idiomatic English he obviously picked up from his guards – his fourth language and acquired in Guantanamo – a manuscript which was immediately classified. It took years of litigation and negotiation by Slahi’s pro bono lawyers to force the military to declassify a redacted version, heavily black-barred (that sometimes goes on for pages, some of it to conceal the identity of his interrogators, guards and fellow detainees). 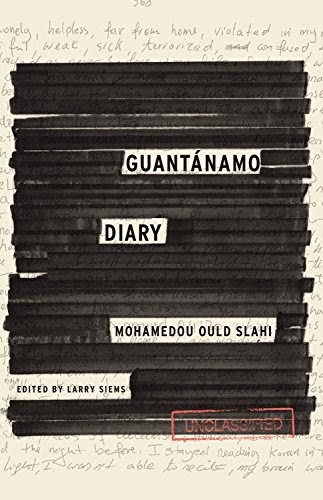 Edited by Larry Siems, Guantánamo Diary (Little, Brown & Company, 2015) is a searing account of one man’s descent into a nightmarish inferno. Slahi’s phantasmagorical experience recalls the fiction of Franz Kafka, a master at delineating the surreal and the illogical, especially The Trial in which Joseph K. is informed by telephone that his case will be briefly examined the following Sunday, which turns out to be only the beginning of his journey through the bureaucracy of terror ending with his death. But I believe that an equally apt analogy may be located in the persecution of the Soviet citizen, Eugenia Ginzburg (1904-77). Her comfortable life as a loyal Party Member and literature teacher was rudely shattered during the Great Terror (1937-38) after she was also informed by telephone to make a brief appearance at NKVD headquarters. As recounted in her extraordinary memoirs, Journey into the Whirlwind (1966) and Within the Whirlwind (1981), that request signalled her portal into the juggernaut of Stalinist terror that lasted eighteen years. She never again saw her husband who was later arrested and executed, or one of her two sons who died of starvation in a home for the children of “enemies of the people.” I recognize that some readers may find the comparison an odious example of moral equivalence, but I think it is entirely appropriate to link the two cases, as did the late historian Tony Judt in an important essay he wrote almost seven years ago: the Soviets dismissed the rule of law as “bourgeois justice,” in post 9/11 America, some members of the Bush administration regarded the rule of law as a luxury that could be dispensed with for anyone labelled an enemy combatant. What distinguishes them – and it is an important difference – is that in America it was still possible for the judiciary to challenge government power when judges ruled that state actions could be unconstitutional, and for lawyers and human rights activists to defend victims of arbitrary state power without finding themselves locked away. From the outset, the American military were suspicious of Slahi, not for any alleged involvement in 9/11, but a belief that he had been the Al-Qaeda mastermind behind the “millennium plot,” the 1999 attempt by Ahmed Ressam to smuggle explosives over the Canadian border and blow up the Los Angeles International Airport. Slahi had been in Montreal, although not at the same time as Ressam, but they had prayed at the same mosque. Slahi travelled twice in the early 1990s to Afghanistan in order to fight the Soviet-backed regime, a campaign covertly supported by the Americans, and actions that Slahi always acknowledged. But he left as soon as the Soviets departed, when the various jihadi groups began to fight among themselves. He never denied that he maintained contact with former comrades who had fought in Afghanistan. Because of this background, his associations with known Al-Qaeda operatives, including extended family members, and that he acquired his electrical engineering degree in Germany, the military is convinced that he is an Al-Qaeda recruiter. With his less than six degrees of separation, Slahi is targeted for the myriad interrogation techniques of the “special plan” personally approved by the Secretary of Defence, Donald Rumsfeld, reminiscent of those deployed by the Soviets, recounted by Ginzburg, and dramatized in The Confession – the 1970 film based on the autobiography of Artur London, a diplomat who recounts his trajectory into the vortex of paranoia and political madness during the early 1950s Czechoslovakian Party purges. A sceptic might ask whether sympathetic readers to Slahi’s plight, and I count myself as one of them, are being duped by a clever snake-oil conman. I strongly doubt we are being hoodwinked and there are several reasons for my belief. What he says about his awful treatment has been verified by a number of other sources from the Senate Report noted above to other inmates such as Moazzam Begg and Murat Kurnaz who spent time at Guantánamo and wrote their memoirs after their release. 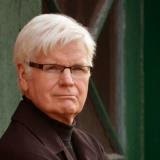 Of equal importance is the valuable introduction provided by Slahi’s editor, the writer and human rights activist, Larry Siems – who was never allowed to meet the author – that provides context, and declassified government documents and monographs that he cites in his extensive and helpful footnotes that corroborate what Slahi writes. In his introduction, Siems reveals that a District Court judge who thoroughly immersed himself in Slahi’s habeas petition concluded in 2010 that the government’s evidence was “so attenuated, or so tainted by coercion and mistreatment … that it cannot support a criminal prosecution,” and ordered his release. (That Slahi, through his lawyer, Nancy Hollander, was able to request a judge to review his case, was only possible because the Supreme Court ruled in 2008 that all prisoners had a right to habeas corpus, which allows them to challenge their imprisonment in accordance with the Constitution.) 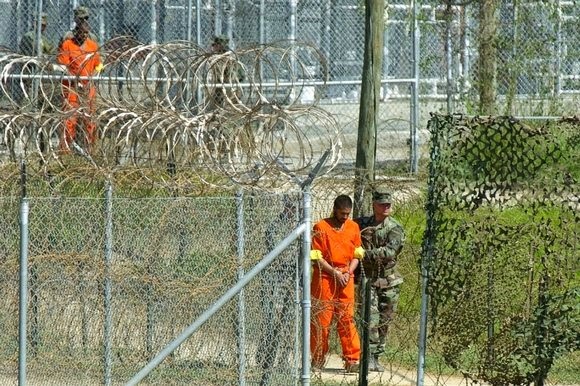 Despite President Obama’s vow to close Guantánamo and his argument as a Presidential candidate that all detainees should have that right, his administration challenged that decision leaving Slahi’s legal status in limbo.